A stylish and capable 3x16 character display with 3 RGB backlights to give you D.I.S.C.O capability. Since we had spare channels, we put in a handy 9-segment bar-graph for indicators. There's also a 4-direction joystick with a push button for navigation, and as usual, with full Pimoroni Python support so you can get up and running easily. The DoT3k works with A, A+, B and B+ Raspberry Pi's, and also fits inside V2/B+ Pibows, although you'll not be able to get to the joystick without hacks. 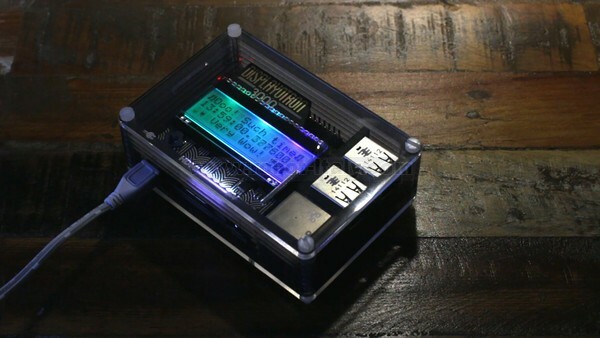 Checkout our GitHub repository with instructions and exampleshere: https://github.com/pimoroni/dot3k.